I received a copy of Eagle Tree by Ned Hayes from TLC Book Tours in exchange for my review. This is a book about trees. And climbing trees. And everything you would ever want to know about trees. It’s also about a boy who has autism. The book is told from the viewpoint of March, who loves trees more than anything in the world. While parts of the book were slightly weighed down with tree related information, I didn’t mind, because it was a glimpse into the mind of March, a unique and inspiring protagonist. It is easy to forget that he is only 14 years old because he is so knowledgeable about trees. As one of the other characters says, he is a self-trained ecologist. At the same time, March is highly compulsive – when he gets into his head that he needs to climb a tree, that’s what he does, no matter the weather or how he might hurt himself. I feel that this is an important book for those who want to understand what goes on in the head of someone with autism. The author was a teacher of students with autism and he gained some of his knowledge on the topic from that experience. One of my favorite parts of the book was seeing how the other people in the story reacted to and interacted with March. His father abandoned him, but his mother stayed strong, along with his uncle. His teacher and classmates provided an interesting viewpoint as well. March was able to appear before the town council to argue why they should not take down the Eagle Tree. The way he does this and the help that he receives is inspiring and meaningful. Additionally, I have found myself admiring trees with new appreciation after reading this book! 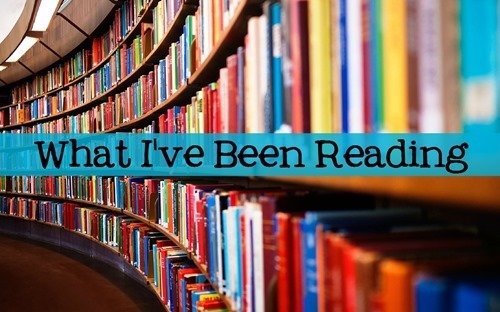 I’ve been linking up the books I’ve read with Stephanie!